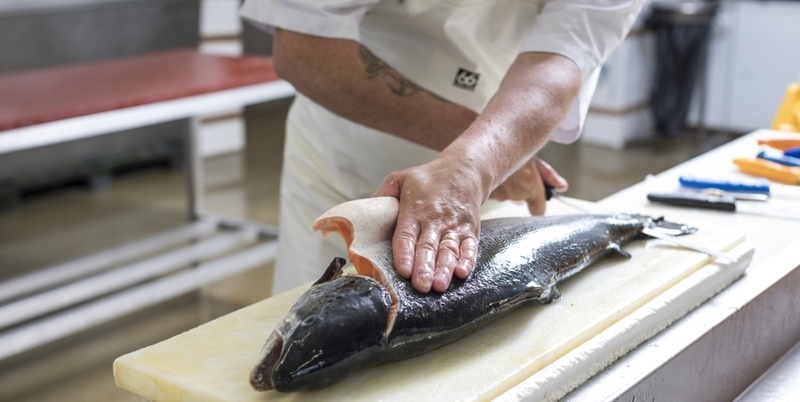 Whilst the seafood industry has made great strides towards improving its sustainability over recent years, the sector still faces significant challenges over waste, with over half of seafood thrown away. To help tackle this issue, chefs Daniel Pawson and Dominic Smith have developed SeaChips. On learning that fishmongers tend to throw away salmon skins and noticing that these skins have the “perfect thickness” for snacks, they set about to create a new product, dehydrating and then shallow frying the discarded skins to turn what has traditionally been considered as a waste product into a tasty and nutritional snack. Their salmon skins are now available in three different flavours. SeaChips’ mission is to combine high quality and healthy products with improving sustainability within the seafood sector. Their website states “every decision we make follows our strong belief of not only being good for you but good for the planet”. Daniel and Dominic pin their success on tapping into the increasing demand for ethical, sustainable and healthy foods that can be eaten on the go. As Daniel explains “consumers want to buy brands that represent their personal views towards the environment. People are more conscious than ever about the products they buy. Our business represents how a modern day business should run.” This approach has allowed the company to make significant strides in the sector with their snacks now being stocked in Harrods as well as several Wholefoods stores across London and Fenwick in Newcastle. 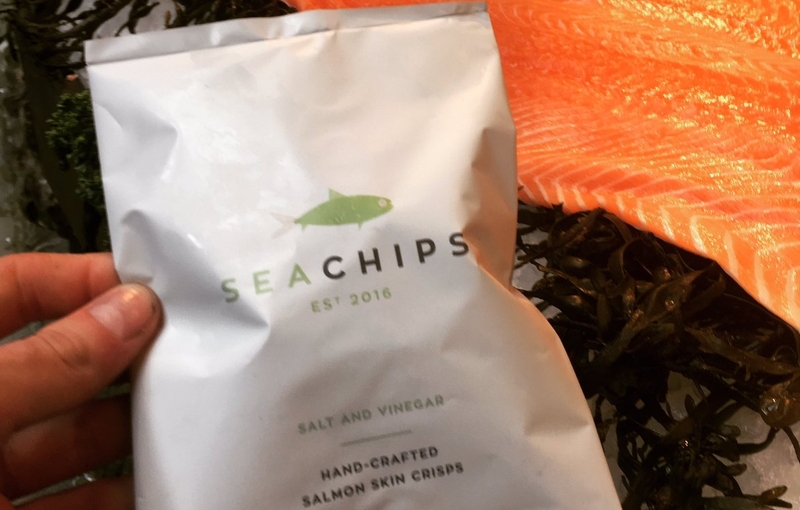 The innovative approach of SeaChips allows them to create a zero-waste product that supports fishmongers and provides the public with snacking alternatives high in protein and Omega-3. Not stopping with skins, SeaChips are currently exploring opportunities to make dips and jerky from other fish offcuts. Furthermore, their use of waste seafood is also enabling the company to support initiatives that benefit the marine environment with 10% of profits from the fish-skin snacks are donated to the Ocean Clean Up Project and 4ocean which act to improve the health of our oceans.